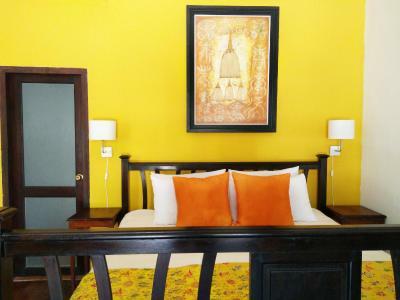 Lock in a great price for The Apsara – rated 8.7 by recent guests! 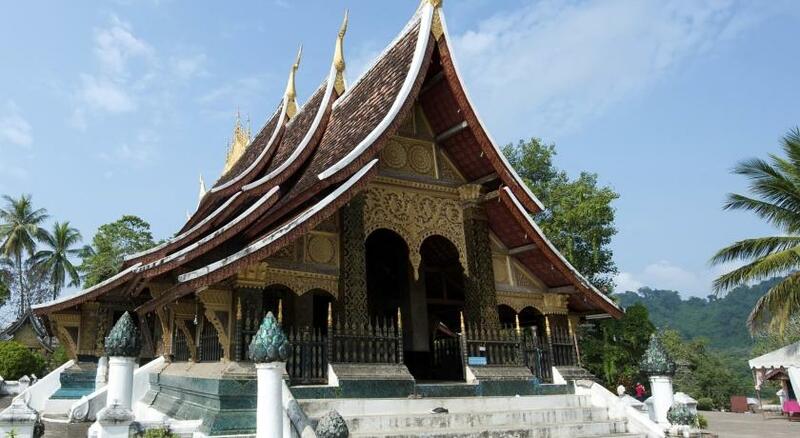 We spent 3 days in Luang Prabang and really enjoyed our stay here. So close to all the site seeing and restaurants. Great staff very friendly. Nice room and comfortable bed. Loved the location close into everything. Enjoyed riding the bikes in the early morning. Quiet rooms were a plus. Air conditioner and fan worked well. Restaurant had good food. Great location, large comfortable room with good amenities. 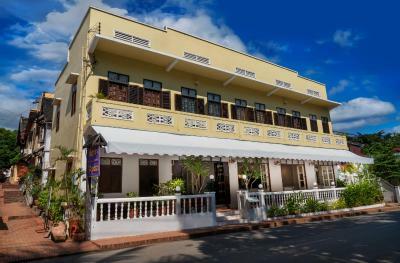 Helpful staff, riverfront location and close to the main street, the temples, the museum and good restaurants. All around a good choice, not too modern. Traditional architecture and terraced restaurant for breakfast. 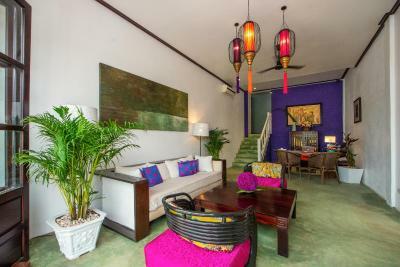 Conveniently located, close to restaurants, night markets and shops. 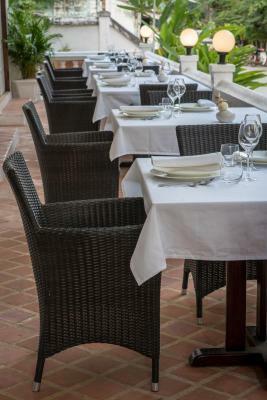 Wonderful staff, excellent breakfasts, good location, comfy bed, great service! We liked the feel of the hotel. The friendliness and competence of the staff set the tone. We traveled with my wife's sister and brother-in-law. Our rooms were large and airy and shared a narrow balcony on the second floor where we could sit, sip coffee, and take in the fascinating street scene. 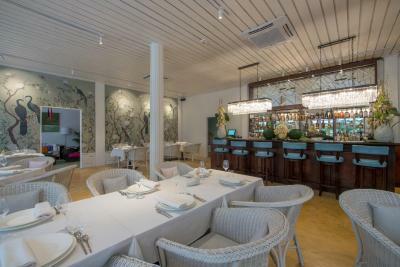 The Apsara This rating is a reflection of how the property compares to the industry standard when it comes to price, facilities and services available. It's based on a self-evaluation by the property. Use this rating to help choose your stay! 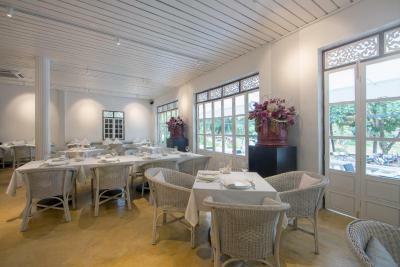 The luxurious Apsara is located in Luang Prabang, a 5-minute walk from Wat Xieng Thong Temple. 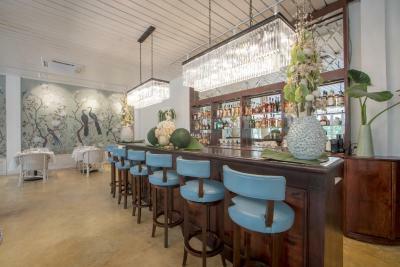 It features a restaurant and elegant nonsmoking rooms with modern oriental interiors. Wi-Fi and parking are free. 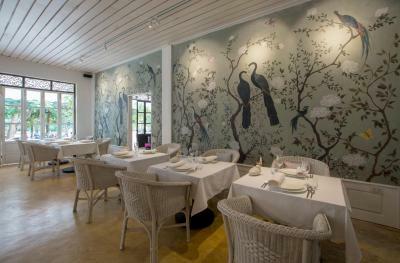 The Apsara restaurant serves a fine selection of Asian Fusion specialties. 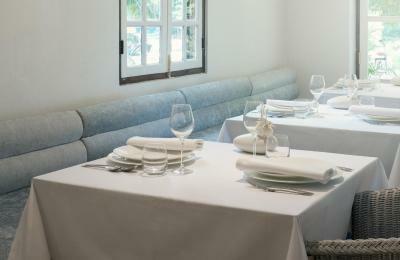 In-room dining options can be arranged. 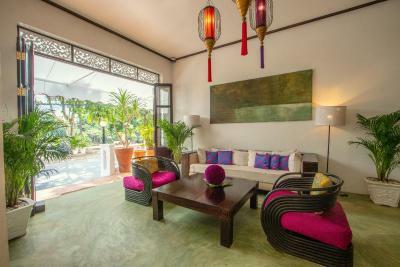 뀐 Located in the top-rated area in Luang Prabang, this property has an excellent location score of 9.4! 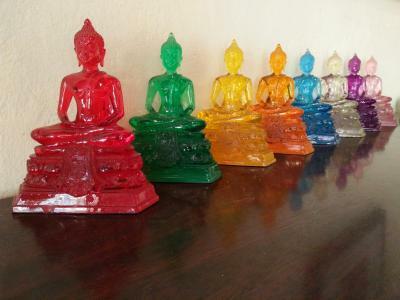 When would you like to stay at The Apsara? Offering views of the river and mountains, this air-conditioned room features a fridge and private balcony. 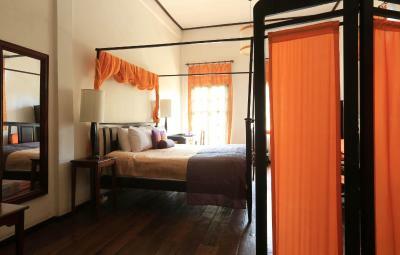 Offering views of the river and mountains, this air-conditioned room features a sofa bed and private balcony. Rooms are located on the lower floors. House Rules The Apsara takes special requests – add in the next step! 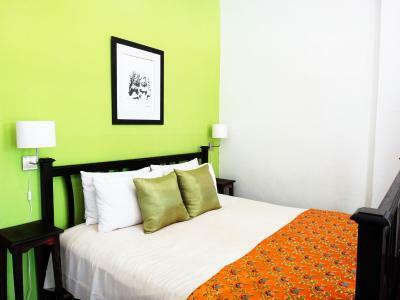 One adult is charged USD 30 per person per night in an extra bed. The Apsara accepts these cards and reserves the right to temporarily hold an amount prior to arrival. Our room was right next to a noisy kitchen of the restaurant next door. The breakfast had very limited options, we were served exactly the same type of fruit salad every day with toasted baguette, and the selection from the menu was limited, ordinary and uninteresting. The water pressure for the shower was very weak and either too hot or too cold. Nothing really- all good! A pool would be good but no hotels within the town of Luang Prubang can have a pool. But for $5 you can go to hotels out of town with a pool so it's not a problem. The room is dark. Air-condition-machine goes off unusual noise some time during midnight in my room, No7. That makes me uncomfortable. Amazing stay at The Apsara. Stayed on the second floor. 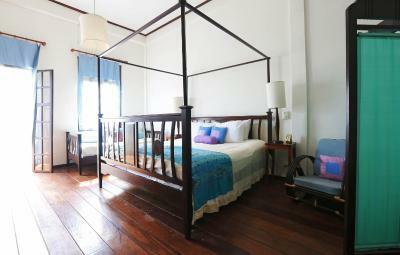 The rooms are spacious and have so much charm with high ceilings and traditional Laos furniture. Bedding was very comfortable. Staff was very nice and attentive. The hotel's restaurant Paste has delicious food. Guests can borrow bicycles to cycle along the Mekong river and in town. Overall a wonderful stay. Will go back. One oddity of the conversion of the building from house to hotel is that, at least for our rooms, the toilet and shower shared the same space, which resulted in the toilet getting wet whenever someone showered. Not a major flaw, but a slight annoyance. I really loved the bathroom, alot of space, clean and really nice design. Everything was fantastic! 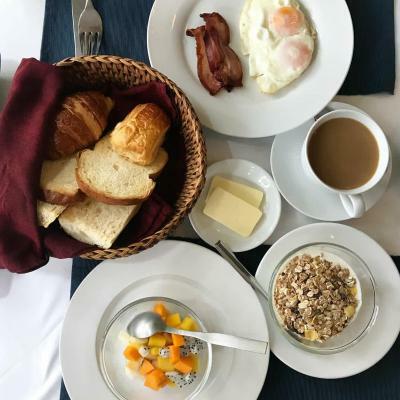 Delicious breakfast, comfortable room and extremely friendly and helpful staff. Convenient location to all the sights. Would highly recommend!